The LAMPROBE rapidly and effectively treats a broad range of minor vascular, sebaceous, and fibroma related skin irregularities that are very common in men and women alike. These conditions tend to become more even prevalent as one ages and while only cosmetic in nature, can be bothersome to individuals desiring flawless skin and an attractive appearance. 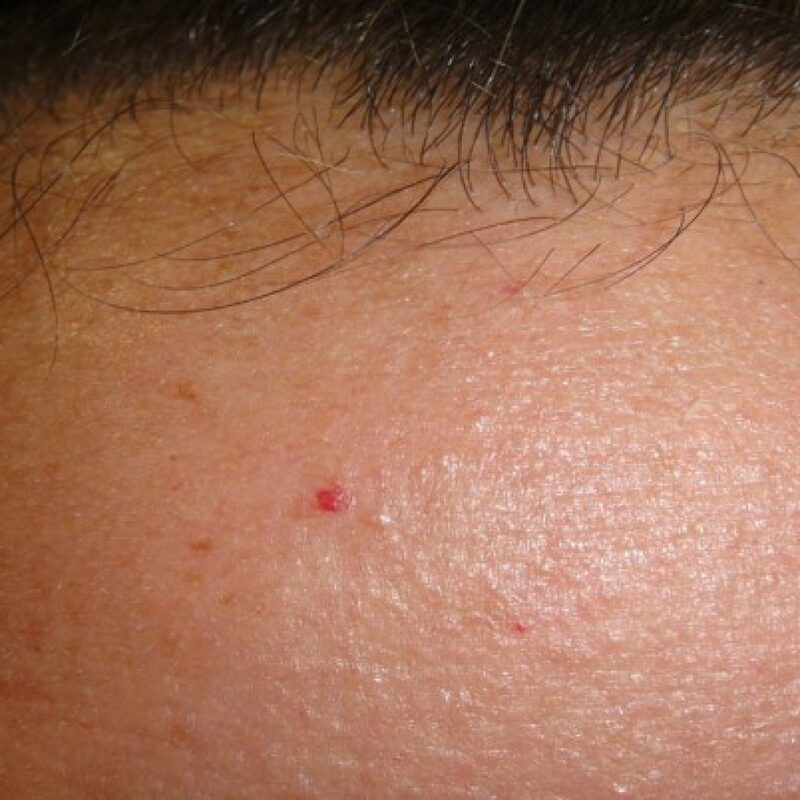 Sebaceous irregularities tend to appear on the t-zone area of face, as well as the scalp. Family history and dietary lifestyle can contribute to prevalence of these irregularities. 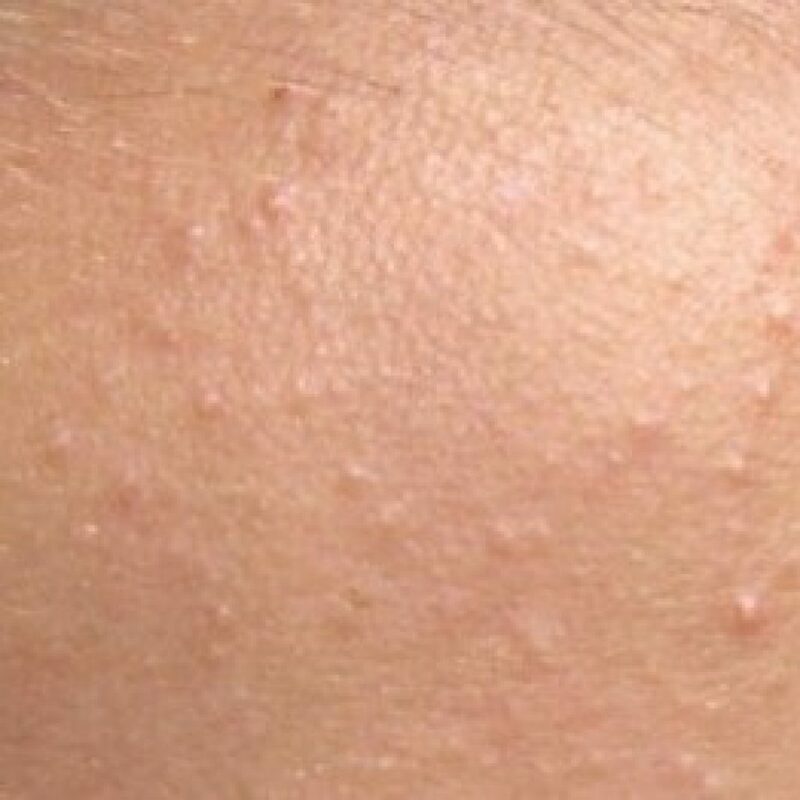 Sebaceous irregularities include commonly occurring cholesterol deposits, clogged pores, milia, and pimples. Sebaceous hyperplasia, a distinctive donut-shaped sebaceous irregularity, also fall in this category, as do cysts. Vascular irregularities can appear in different forms and tend to be more noticeable in fair skinned or thin-skinned individuals. They are superficial in nature and present on the upper epidermal level of the skin. Vascular irregularities appear most often on the face. Some of these irregularities such as cherry angiomas may appear on the chest and torso. Common conditions such as dilated capillaries, cherry angiomas, and spider naevi fall in the vascular irregularities category. 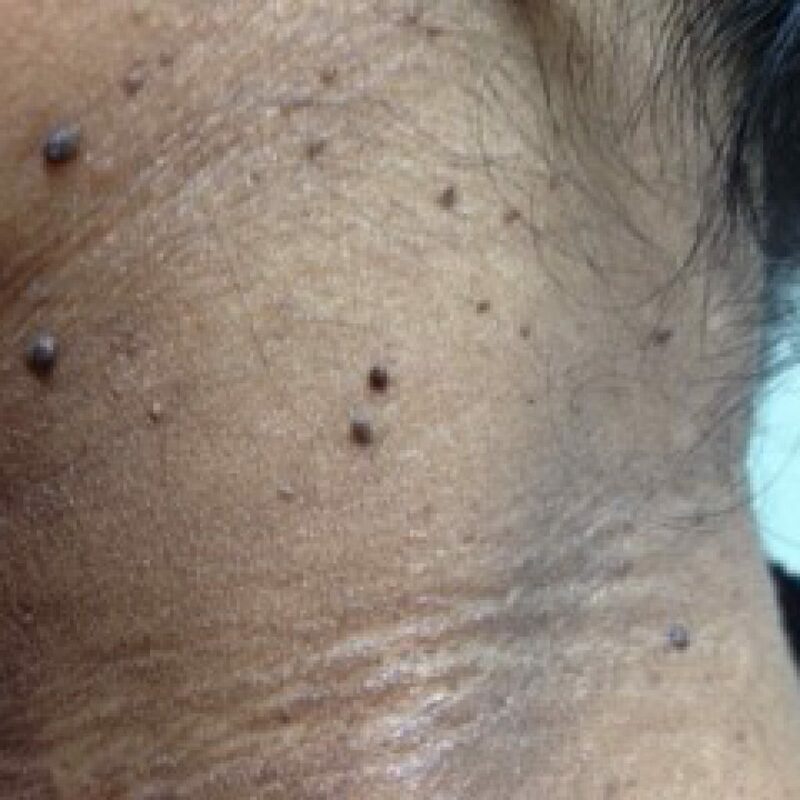 Skin tags and keratoses are common skin growths can appear all over the face and body. Like many common Minor Skin Irregularities™, hyperkerantinized irregularities tend to increase in prevalence with age, specifically developing in middle age and older. Hyperkerantized irregularities include skin tags, fibromas, and keratoses.